The Archery Hall of Fame & Museum’s new facility in Springfield, MO, will include a display recognizing Doug Walker, the late Bowhunters Hall of Fame’s founder, and all BHOF inductees through 2011. Walker passed away in early last year and no further BHOF inductions are slated. The announcement was made today by Diane Miller, AHOF Executive Director, who said ongoing discussions between Board members of both Halls have resulted in an agreement designed to recognize the BHOF’s place in archery history. 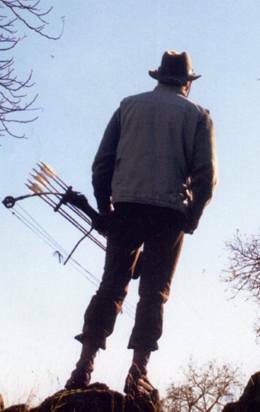 From 1990 until 2011he Bowhunters Hall of Fame was the pinnacle of recognizing not only bowhunters across the United States but also recognizing the archery industry as well. The first Bowhunters Hall of Fame inductees became the Bowhunting Legends of the 20th Century and were Nationally recognized and voted on by voting Directors. Copyright: 2019 Archery Hall of Fame & Museum, Inc.